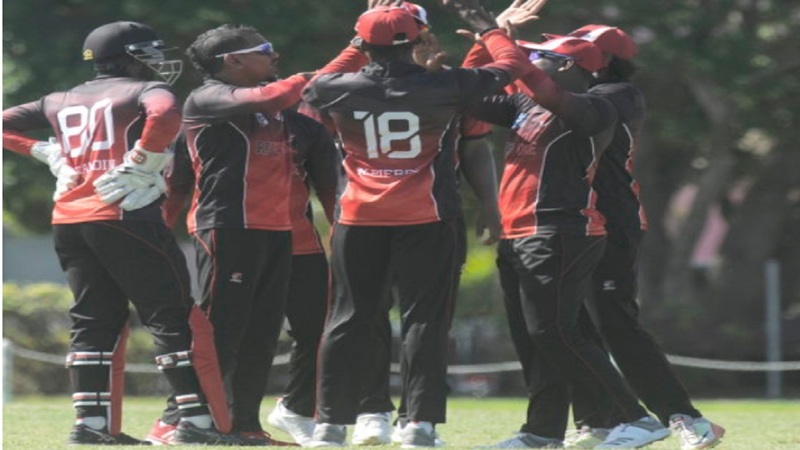 Windward Islands Volcanoes and Trinidad and Tobago Red Force secured victories in the latest round of Group A matches in the Super50 Cup on Friday in Barbados. 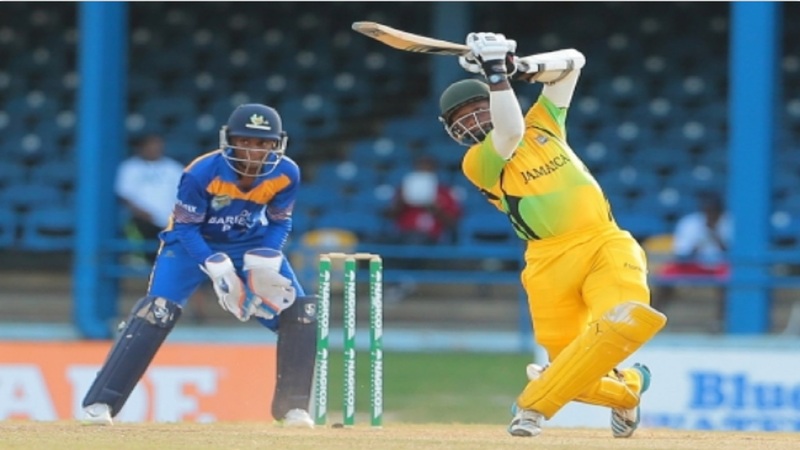 Barbados-born Kyle Mayers produced a crucial all-round performance that carried Volcanoes to a 22-run win over previously unbeaten Barbados Pride in a rain-affected night-capper at Kensington Oval. In the other group match, a career-best spell from left-arm spinner Khary Pierre set things up, but Red Force required a Jason Mohammed half-century and Shannon Gabriel’s nerve to clinch a one-wicket victory over English county Hampshire at the Three Ws Oval. Mayers followed up valuable knock of 37 with a telling spell of 4-31 in 8.4 overs to undermine the Pride batting to earn the Player-of-the-Match award. West Indies captain Jason Holder, playing his first match of the tournament, hit four fours in the top score of 49 from 56 balls for the Pride. Four others – including West Indies Test vice-captain Kraigg Brathwaite – got starts, but failed to carry on, as the Pride sunk to their first defeat of the tournament as they were bowled out for 179 in 46.4 overs, chasing a victory target of 202. Part-time off-spinner Kavem Hodge, who plays for Barbados club champions University of the West Indies, set the Pride back early with the scalps of opener Kevin Stoute for three and West Indies batsman Shai Hope for 20. Mayers tightened Volcanoes’ grip with the scalps of left-hander Jonathan Carter for eight and West Indies batsman Roston Chase for a first-ball duck to leave Pride wobbling on 43 for four. A stand of 63 for the fifth wicket between Brathwaite and Holder carried Pride past 100, but Volcanoes captain Shane Shillingford snared 3-27 in his 10-overs spell to put the brakes on the home team’s advance, leaving them 125 for seven. 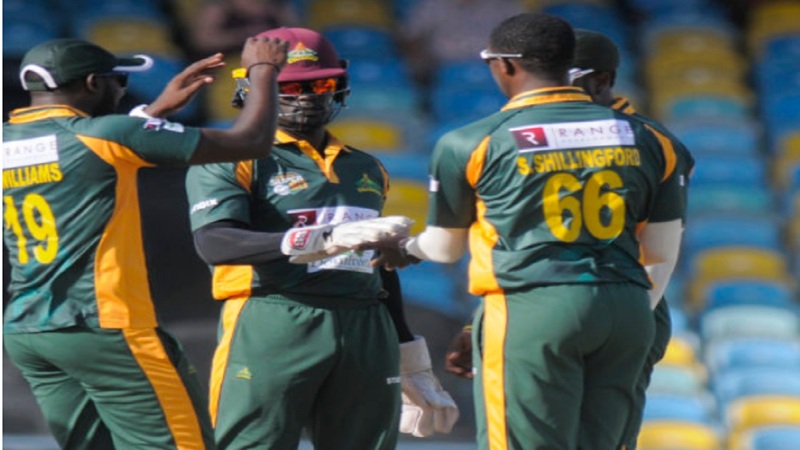 Left-hander Dominic Drakes, son of former West Indies all-rounder Vasbert Drakes, and West Indies Twenty20 captain Carlos Brathwaite tried to put the Pride back on the road to victory with a stand of 47 for the eighth wicket. But Mayers and left-arm fast bowler Delorn Johnson shared the last three wickets to snuff the life out of any comeback and propel Volcanoes to victory. Earlier, Mayers struck two fours and one six in a 48-ball innings that spurred a late charge for the Volcanoes and made the difference in the end before he was run out in the 46th over. Johnson Charles gave the innings a typically flourishing start with five fours in 40 off 54 balls and shared 45 with Kirk Edwards for the third wicket, but there was little substance and stability from the rest of the Volcanoes batting and they bled wickets at regular intervals. Drakes, Holder, bowling for the first time since elbow surgery in December, and WINDIES teammate Ashley Nurse collected two wickets apiece for Pride. Red Force looked a fair bet to comfortably take full points at 126 for five in the 29th over, thanks to 51 from West Indies One-day vice-captain Mohammed and 23 from Nicholas Pooran. But Red Force suddenly lost their way, as four wickets tumbled for just 13 in the space of 45 deliveries, to leave them tottering on 139 for nine and in danger of squandering the result. 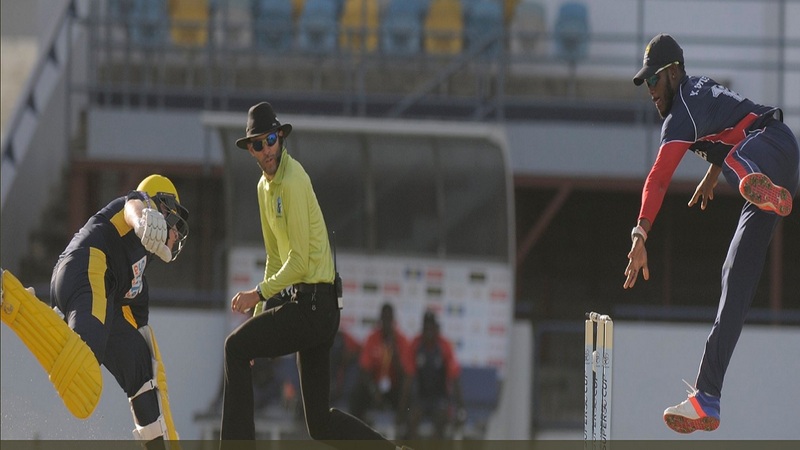 Mohammed and then Pierre fell in successive overs with scores tied to leave the game wide open, but Gabriel, arriving at the crease in tense circumstances, smashed a boundary off the first ball he faced to carry Red Force over the line. Off-spinner Joe Weatherley was the pick of the Hampshire bowlers with 4-25 from eight overs. Hampshire, choosing to bat, had earlier struggled to find their groove before they were dismissed with captain Jimmy Adams leading the way with 39. Bradley Taylor extended his decent form with 36, Weatherley scored 27, but it was the 26-year-old Pierre who shone with 6-34 in his 10-over spell to earn the Player-of-the-Match award.